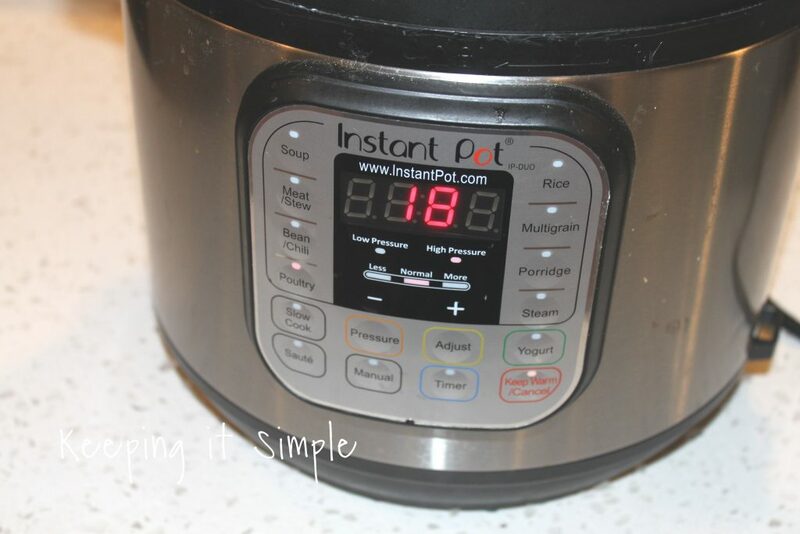 The Instant Pot is one of my favorite kitchen gadgets! I seriously use it at least twice a week and I love it so very much! 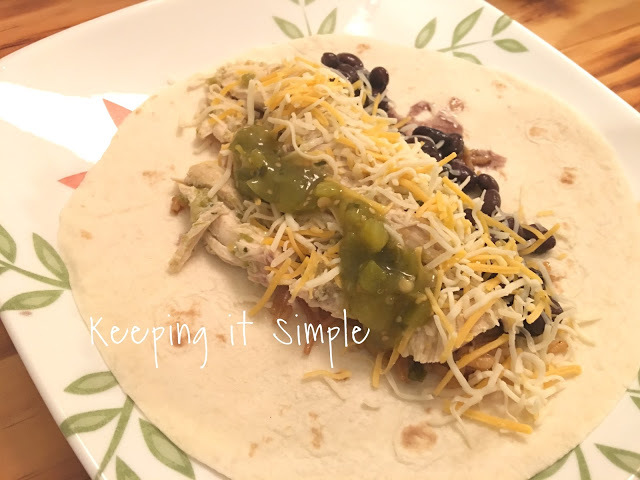 This recipe is one of my favorite Instant Pot recipe. 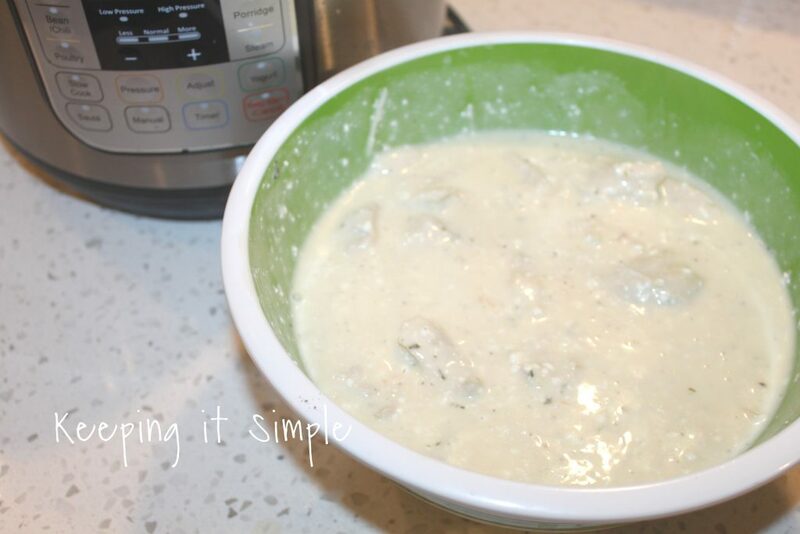 It only takes about 30 minutes (that’s from start to finish and using frozen chicken!) and my family loves it so much. 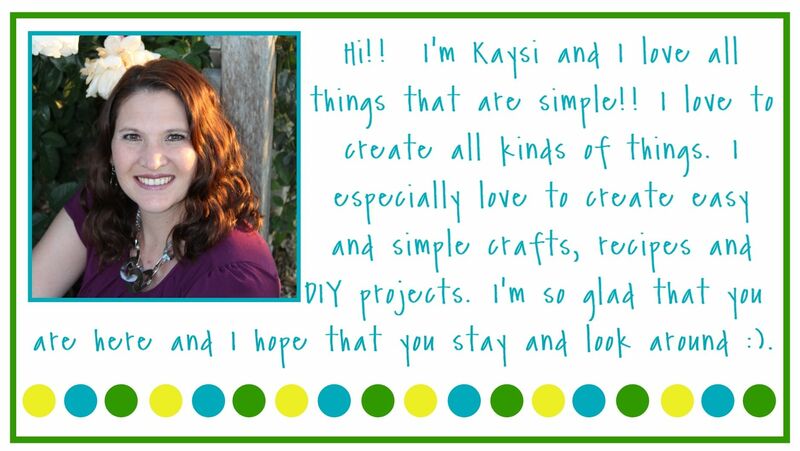 It’s amazing and super easy to make, so it’s a win win! Add all of the ingredients into the Instant Pot and seal the wood. Press the poultry button and cook for 18 minutes. While chicken is cooking, prepare noodles as instructed on box. 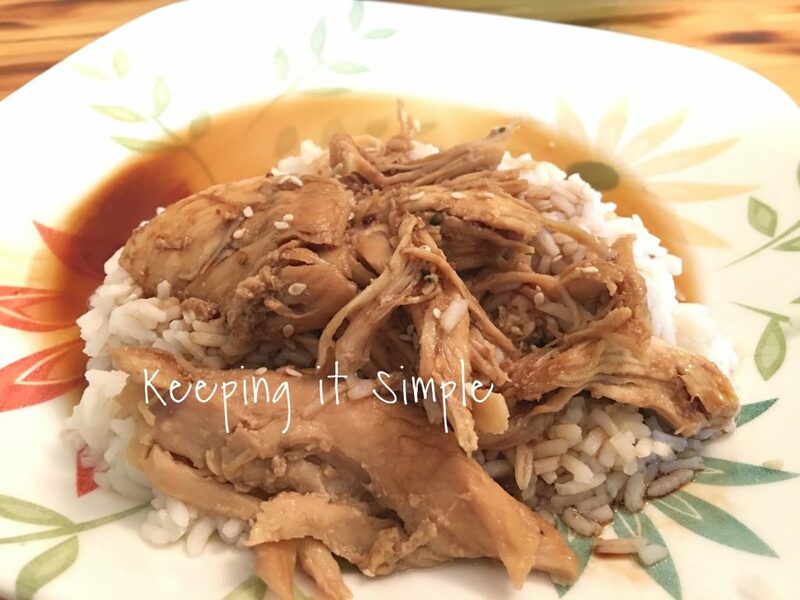 Release pressure on Instant Pot and then shred chicken and stir sauce. 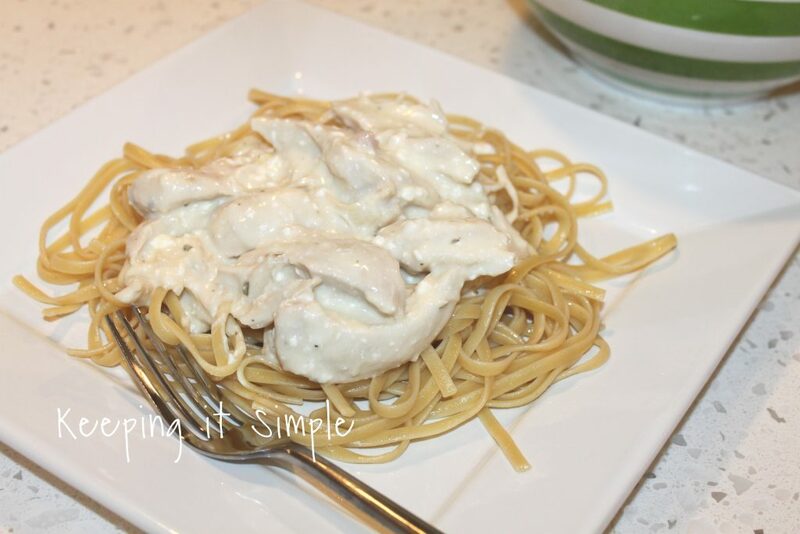 Add sauce and chicken to noodles and enjoy! This is what I used for the pasta. 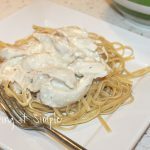 I love using frozen chicken in my Instant Pot recipes (because I never remember to take out the chicken in the middle of the day). 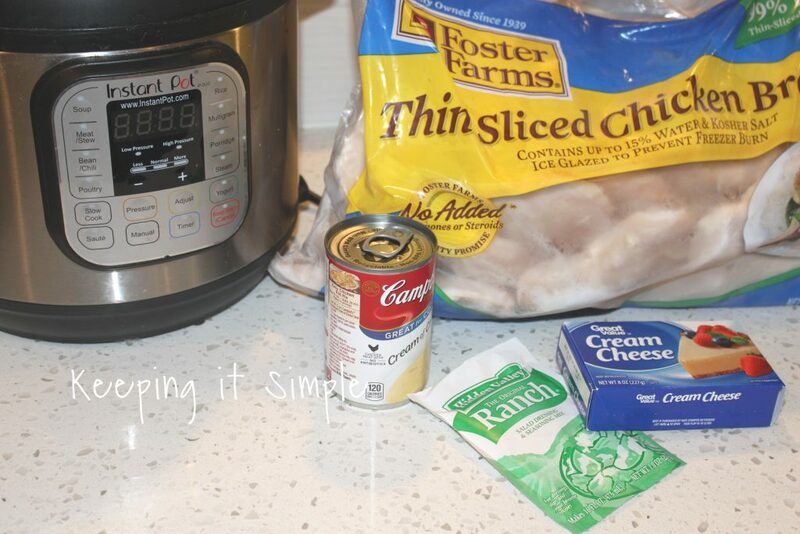 When adding the ingredients to the Instant Pot, put the chicken on bottom and then add the rest. 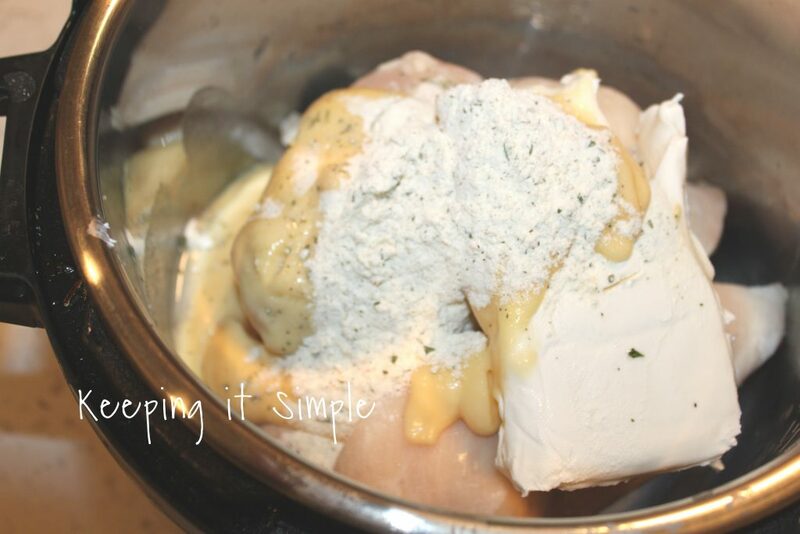 If you want, you can mix the sauce ingredients first before putting it over the chicken, that way the cream cheese smooth and not as lumpy. I used 5-6 pieces of thin sliced chicken (for my family of 7) and I cooked it for 18 minutes. If you use less chicken you can cook it for less time (around 15 minutes) and if you are using raw chicken you can cook it for less too (12 minutes). Once it is done, release the steam and then separate the chicken and shred it. Then pour the sauce over it. While the chicken is cooking, I made up the pasta. I like to use linguine noodles but you could use any kind that you would like, it doesn’t matter. And that’s it! It’s so yummy, I love it so much! If you are in need of a yummy Instant Pot recipe, then you need to check out my Instant Pot recipes!